On August 27th, The Glenn Beck Review arrived in Washington, DC early enough to visit with the progressive, media watchdog organization, Media Matters for America. After a tour of their facility, GBR sat down for an interview with their communications director, Chris Harris. GBR: Beck is talking to Media Matters, directly to you and challenging your finding that his position regarding Rauf is hypocritical. Can you respond to what he said on the air…last night? Chris Harris: Well, obviously we don’t expect him to actually present the whole picture. What he says is that our assertions from 2006 and our assertion today are contractory, and they’re not. In 2006 we were saying that he was linking the majority of Muslims with Al Quada, which is true, he was. And then now, we are saying that he pointed to Iman Rauf as an example of a good Muslim which we didn’t touch on then because we had no reason to. So the two points we’re making do not contradict each other. They aren’t all that related, but the point we’re making now is not in any way a contradiction with what we said back then. GBR: Just to follow up on that, he doesn’t think he was pointing to Rauf when referring to good Muslims, which one could have a discussion about what a good Muslim is, i.e., someone who agrees with what Glenn Beck says, but it looked to me like he was gesturing toward the iman. This could be more of a contradiction than a hypocrisy. GBR: I think he’s a burn-out from the alcohol and cocaine and stuff…he gives a some evidence that he’s not got a real sharp mind … not remembering that interview is indicative of this. Harris: I don’t begrudge him for not remembering everything he does, especially that long ago, but if he doesn’t remember the interview ... I can’t really believe that he can’t remember the hand motions he was making. GBR: a radical. Couldn’t it be just he changed his mind. He did more reading and research. I’ve read your Rauf post, and I suspect I know more about the iman than Beck does. GBR: Hypocrisy is a strong word. I’ll go back to inconsistency. Harris: I don’t know that it’s hypocrisy. I’d say it’s a contradiction. GBR: In that same tape he calls Islam "a beautiful religion." He hasn't played the tape that far on Fox, and now he’s replicating the Pamela Geller memeattacking Rauf and not standing by his "sacred" Constitution and the 1st Amendment. That is Beck's hypocrisy, that he would join this reactionary meme instead of standing with the 1st Amendment like Ron Paul did. Harris: That was a mistake. Once we figured out that, because we didn’t go back and listen to the entire thing. Once we figured out that it was cut short, we went back and corrected that. GBR: I understand journalistic standards: you fix your mistakes. I had to do the same thing as Media Matters because one time you had the word “if” in a sentence that exonerated Beck from claiming that the Park 51 cultural center was going to open on 9-11. He didn’t say “if,” and you corrected that too after I e-mailed you about that. I had to go back and update that post. You didn’t want to [publish] the hypocrisy of him pointing at you for doing the same thing he does over and over again. Harris: Everybody makes mistakes. What establishes your credibility, how you judge someone’s credibility: 1) admit the mistake and 2) fix it. We always fix it. GBR: Have you ever heard him fix a mistake? We watch him; we know how much he gets wrong…. Harris: No. I don’t think he…. GBR: He says he will. He says that if he gets something wrong, he’ll fix it the first thing on the next show. Harris: He says that, but he doesn’t. GBR: He also says that he tells the truth a lot. How’s he get away with that with this massive following? Harris: He says he’s a rodeo clown. They’re good entertainers, but not so much someone you want to follow. GBR: Alex Jones refers to Beck’s “gift.” He does have a gift. Harris: He’s a great entertainer. He looks sincere saying what ever words he wants to say, and that is a gift. It could be dangerous, but I think he’s definitely talented. I think you also need to be skeptical of pretty much of everything he says. GBR: He tells his people to look and check his material, but apparently they’re not doing it because it’s so easy to find where he’s said something bogus. GBR: I think he’s trying to give himself a promotion to messenger of God. He said that he’s just got some bullet points for his speech tomorrow, so God can speak through him. Harris: Yeah, especially since he moved over to Fox News, and especially in the last few months, he started channeling the religious aspect of things. It’s much more religious than it is amusing now-a-days. GBR: I just saw it this week. You know what that is? Harris: I’ve heard of it. GBR: [Spoiler alert: movie ending being conveyed.] That main character isLonesome Rhodes. You want to watch it because it will send a chill down your spine, not so much because of the analogous character, but because of the audience, the adulation and how much these people fawn over and follow him. They believe every word. Near the end, someone opens the mike back up after the end of his show, and he’s heard bad mouthing his viewers. He immediately leaves, takes an elevator ride down to street level which is symptomatic of his career falling down. Do you think Beck is going to have a ride down the elevator? Harris: I have no idea. I wouldn’t speculate on that. It’s certainly a possibility, but I can’t speculate there. GBR: I was surprised how easy it was to come up here…After the incident in CA, is there a security concern now that he’s addressing Media Matters so much? Harris: We take it seriously, but Beck hasn’t impacted that. We’ve always been secure; we take everything seriously. GBR: When he addresses you, when he tells Media Matters that he’s talking to you, does it make you uncomfortable? Is it disconcerting? Agreed: Beck's blend of paranoia-based, yellow propaganda and misinformation is entertaining to witness and address. With Mr. Beck misleading millions of previously, politically uninvolved Americans, his agitating against the Park 51 Cultural Center is becoming more dangerous as he works up hatred - as demonstrated on his website - against Muslims and consequently serving as another recruiting aid for Al-Qaeda in their war against the very Americans Beck claims to honor, i.e., American soldiers. This is not just blatant hypocrisy; it's the danger of an ambitious, charismatic and gifted reactionary with an above average IQ. Now that Beck has made the nationally staged speech, when he emphasized four times to have his followers "tell the truth," his words henceforth are going to have to reflect the actual facts of reality. Otherwise, every deceit, every example of misinforming, whether purposeful or from ignorance, will be one or another level of hypocrisy. 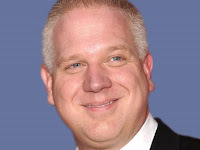 Will Glenn Beck lead by example? Let the show begin. This is really good and I'm glad you got to have the interview. Good of you to bring something to their attention in terms of what words they used once. "This could be more of a contradiction than a hypocrisy." So, you didn't go along blindly with everything Media Matters said. Very good stuff. I bet it was fun being able to participate in some of the festivities down there. Hope you had fun.